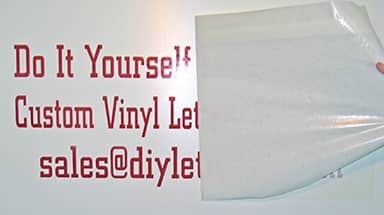 -Your surface needs to be clean before you install the lettering. 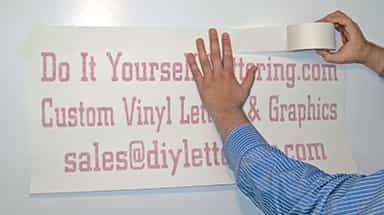 -Double check that it is level and in the correct location. 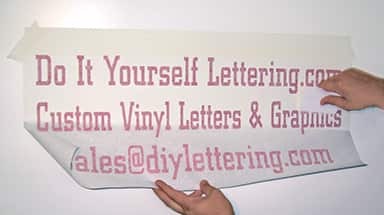 -The lettering is very sticky, be careful! 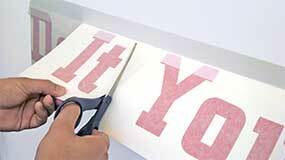 -Keep the lettering taut with the tape that is holding it in place. 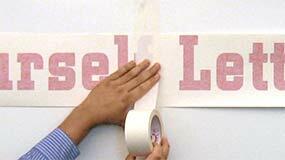 -Start from the taped edge, and work towards the other edge. 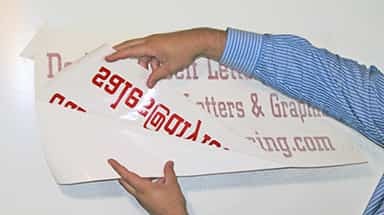 -Make sure the lettering is firmly pressed onto your surface before you remove the tape. -Needs to have spaces between letters. -Not recommended for small lettering.